The best in digital entertainment! Our Basic Service offers our customers a more economical choice and includes 30 Channels – including local affiliates, WK&T Sports and the WK&T Local Access Channel. The Expanded Service package has over 145 channels, with favorites like ESPN, SEC Network, Fox Sports, Hallmark, Nickelodeon – plus you’ll get WK&T Sports, local affiliates and music channels. Our ViewLocal package is a video service utilizing a broadband connection. Simply download the free ViewLocal app from your device’s market place (on IOS, Android, or Roku) or visit viewlocal.tv using your laptop, PC, or Mac. ViewLocal Features include 14 channels available: ABC, NBC, CBS, FOX, The CW, MyTV, THIS, KET1, KET2, WK&T Local Channel 1, WK&T Weather, WK&T Sports, GRIT and Antenna TV. Four streams can be viewed simultaneous per account. Add the following options to enhance your digital entertainment experience! For an additional $14.95 per month you can enjoy 56 popular high-definition channels. The HD option is only available with the Expanded Service. Our Basic DVR service option will allow you to record, pause and rewind live TV in one room of your home. Take control of your TV and watch shows when you want, whenever you want. And skip through those commercials! 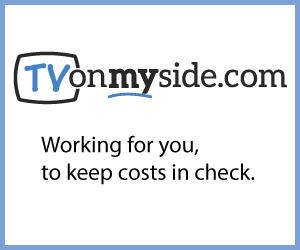 – Additional standalone DVR: $8.95 / mo. – Additional DVR Hard Drive: $3.00 / mo. Sling TV is the new way to watch live TV. You’ll get instant access to live sports, current-season shows, breaking news and more. We have three packages to choose from starting as low as $20/mo. No annual contracts, no setup fees and no installation guy. Just get the Sling app on your TV or favorite device and start watching today! START WATCHING NOW! Watch original programming, comedy, the latest movies and more when you add a Premium Movie Channel option. We offer HBO, Starz/Encore and Showtime/TMC for $15.95 each per month. Record, pause and rewind live television in one room in your home. Up to 4 rooms in your house can access the DVR and watch recorded programming. With an additional DVR hard drive ($3.00 / mo. ), you can record, pause and rewind in multiple rooms. View Local TV gets you all of the amazing benefits of Roku, PLUS all your local affiliate channels, WK&T Sports, and Local Weather for a low monthly rate. Roku makes it easy to enjoy the movies, shows, games and more on your TV. Click HERE for install and viewing instructions. Bundle your whole home DVR and High Definition programming into one low cost, a savings of $4.95 every month. This is the best value, and the perfect way to make sure you’re getting the most out of your digital television service. Download & view the channel line up in your area. 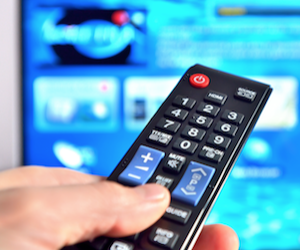 Click HERE to view our online Digital TV User’s Guide for instructions on using your TV remote control and DVR. Or you can view and download a hard-copy version by clicking HERE. You can also contact WK&T if you would like assistance from our tech support group. View Local lets you access and watch Internet video channels right on your digital TV or mobile device! You will need a high-speed Internet connection and a Roku, tablet or smartphone. Click HERE to set up a Roku account and download the App. Click HERE for the MyWK&T Roku TV Installation Guide. Our goal is to manage your monthly bill by fighting against excessive Network fee increases from large media companies. That’s why we are a member of the NCTC, a collective of more than 900 independent Local TV and Broadband providers across the USA. Click HERE to learn how we’re working to keep your costs in check. Sling TV is the new way to watch live TV. You’ll get instant access to live sports, current-season shows, breaking news and more – all for one low price of $20/mo. No annual contracts, no setup fees and no installation guy. Just get the Sling app on your TV or favorite device and start watching today! START WATCHING NOW!